Take the direct ferry and bus service from Koh Phangan to Phang Nga. Travel to Koh Samui Bus Station and take the inexpensive bus and ferry service from there to Phang Nga. 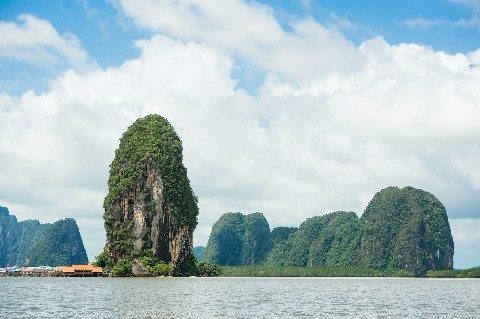 Travel by ferry and bus to Surat Thani city and take a bus to Phang Nga from there. The journey starts with a sea crossing by high speed catamaran ferry to Donsak Ferry Pier. From Donsak Ferry Pier passengers transfer to Surat Thani town to join the bus to Phang Nga. The Lomprayah Ferry service from Koh Phangan to Phang Nga departs from Thong Sala Pier. Use the Search Box below to find tickets from Koh Phangan to Phang Nga. A slightly cheaper option is to take the Phantip Travel from Koh Samui to Phang Nga. The cheapest ferry service to take from Koh Phangan to Koh Samui is the 07.00 departure on the Songserm Ferry from Thong Sala. This service arrives at Na Thon Pier in Koh Samui at 07:45 and costs 200 THB per person. The Phantip Travel service to Phang Nga departs from Koh Samui bus station which is near Na Thon Town. From the Songerm ferry pier it a 2.7 km journey to Koh Samui bus station. 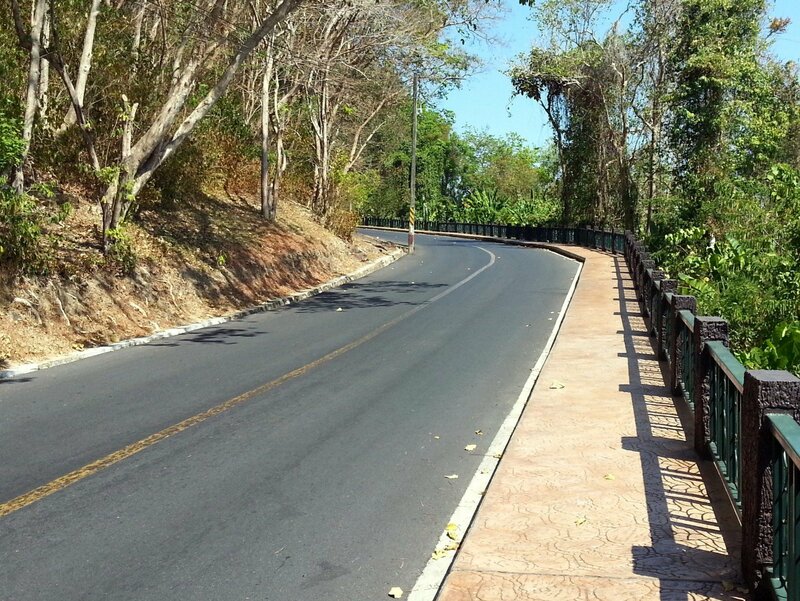 You can walk it in around 34 minutes or take a motorbike taxi which will cost around 100 THB. Take a ferry from Koh Phangan to Donsak, which is part of Surat Thani province where the ferry port are located. 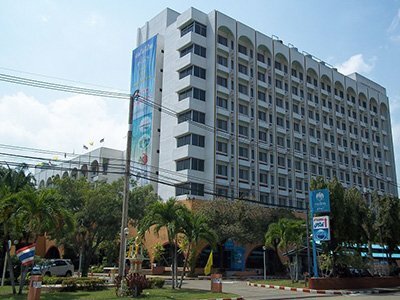 Travel by road from Donsak to Surat Thani city centre. 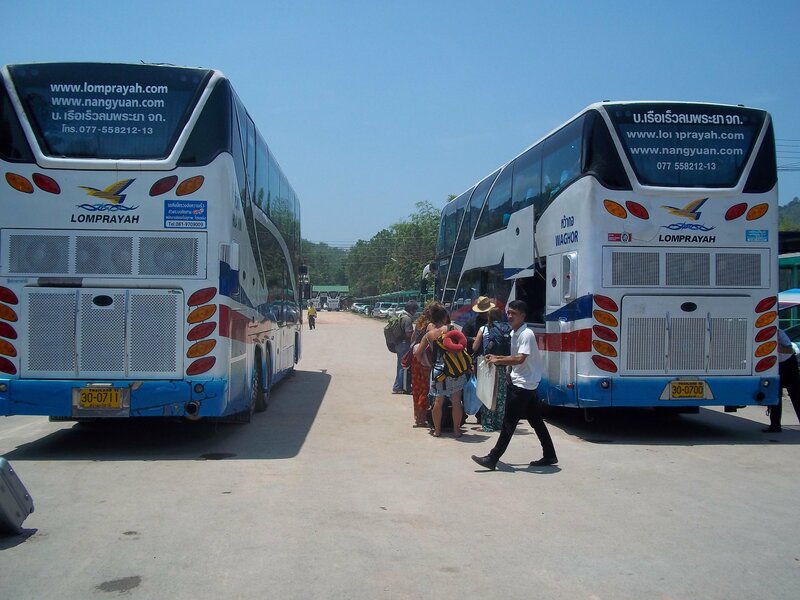 Most of the ferry companies will sell you a connecting bus or minivan transfer from Donsak to Surat Thani city. There are currently no public transport options available (other than services operated by the ferry companies) which will take you from a ferry port in Donsak to Surat Thani city centre. Bus services to Phang Nga depart from the Phantip Travel office on the Talad Mai in Surat Thani city at 07.00, 09.00 and 11.00. If you want to travel independently from Koh Phangan to Phanga Nga you need to take an early ferry. The combined ferry and bus journey on the cheap Raja car ferry takes 4 hours from Koh Phangan to Surat Thani city. All bus services to Phang Nga now terminate at Phang Nga’s new bus terminal which is 2.2 km to the north of Phang Nga Post Office in the town centre. To travel into Phang Nga town from the bus station you can flag down one of the blue shared songthaew taxis which operate on the main road (the Phet Kasem Road) which runs from the turning to the bus station all the way into Phang Nga town. If your final destination is Khao Lak, then you need to change bus when you reach Phang Nga bus station. The first stage of the journey from Phang Nga to Khao Lak is take one of the frequent bus services bus towards Phuket and change buses at Khok Kloi bus station which is slightly over 40 km from Phang Nga, From Khok Kloi it takes about 1 hour to travel to Khao Lak bus station.